Instructors tasked with designing an online course often have two questions: What do I need to know, and where do I start? Our upcoming workshop, “Quality Matters: Applying the Rubric to Online Courses,” helps to answer both questions. Quality Matters (QM) is a non-profit organization concerned with improving and certifying the quality of online and hybrid courses. IU’s subscription to QM allows the IU community to use QM’s research-based rubric and participate in its review process. The QM Rubric contains 42 standards of online course quality. Each standard describes something that improves online course quality (e.g., “Learning activities provide opportunities for interaction that support active learning.”). The standards also have detailed annotations that describes various ways in which a course could meet the standards. 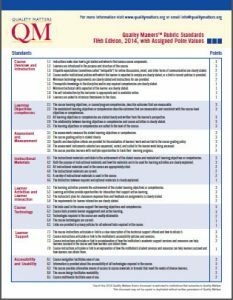 An Official QM Course Review involves three specially-trained peer reviewers and leads to QM certification once a course meets the requirements. IU also has an informal process in which one IU peer reviewer examines the course. In both types of review, the instructor receives detailed feedback and suggestions for improving the course. Participants in the upcoming workshop will explore an online course submitted for review and see how it was improved based on QM review feedback. They’ll become familiar with the QM standards and be able to use the rubric as they design and revise their online and hybrid courses. They’ll also be ready to enroll, if desired, in the additional training needed to become QM Certified Peer Reviewers. So, if you’re wondering what you need to know and how to get started when designing an online or hybrid course, come to the QM workshop! 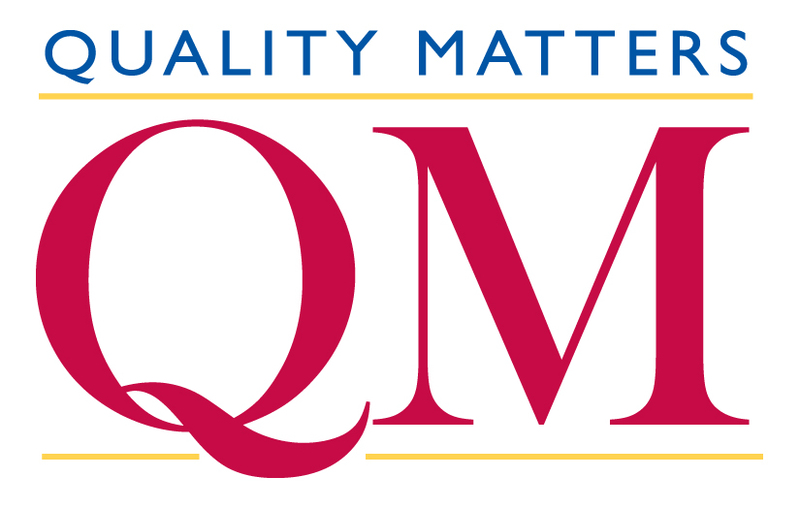 The Quality Matters workshop is offered each semester at IUB and multiple times each semester at IUPUI. Register for the October 5th workshop at IUB.